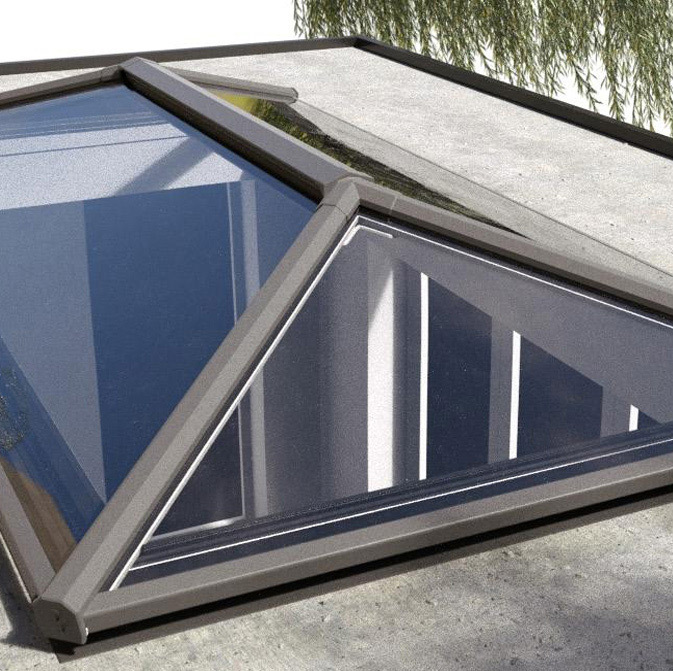 Our Contemporary aluminium roof lanterns are stylish, modern and discrete. These aluminium roof lanterns are contemporary in design and highly thermally insulated, using a fully thermally broken frame. It has a low profile pitch and uses purpose designed cappings that keep sight lines to a minimum. It is ideal for new extensions or replacing an existing lantern.Contemproary Roof Lanterns are guaranteed for 10 years. 24mm toughened argon filled glass panels, Fixings/brackets, Full installation guide. 3. 3 way ,10 panel (3 x 2) in sizes up to 3000 x 6000 mm. If you know what roof lanterns you want Buy Online below. Contemporary Aluminium Roof Lantern - Omega Build supply a range of roofing components such as Contemporary Aluminium Roof Lantern, diy conservatory roof kits, polycarbonate roofing sheets, polycarbonate canopy kits and much more. You are currently browsing the Contemporary Aluminium Roof Lantern category of our polycarbonate sheets and canopies shop. I would recommend your affordable products (Aluminium Roof Lanterns and Grey Aluminium Roof Lanterns | Omega Build) to anyone else considering this product, as it has been superb. Omega Build Shop | Aluminium Roof Lanterns and Grey Aluminium Roof Lanterns | Omega Build. You are viewing Aluminium Roof Lanterns and Grey Aluminium Roof Lanterns | Omega Build, buy online today!